Have ONE SWEET® New Year’s Eve! 365 days of 2017 are about to come to an end, and in celebration of another year of health and inspiration, we thought it only fitting to share two of our favorite bite-sized recipes with you – our fellow flavor lovers! For an optimal NYE party experience, we like to keep one hand free for champagne and the other free for snacking! Luckily, Chef Roger Mooking has come up with some of the tastiest, party-sized snacks everyone can enjoy! 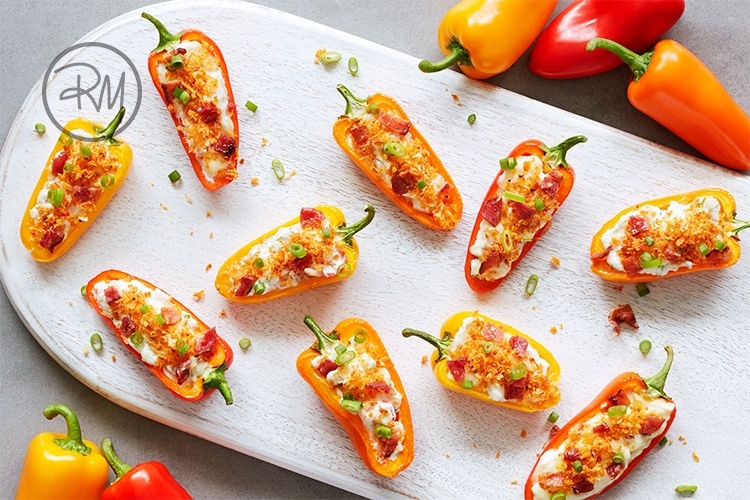 ONE SWEET® Pepper Poppers are ideal for entertaining and are loaded with flavor – literally! Crisp, sweet ONE SWEET® peppers are topped with cheese, bacon, bread crumbs, and green onion to make for a perfectly balanced bite. 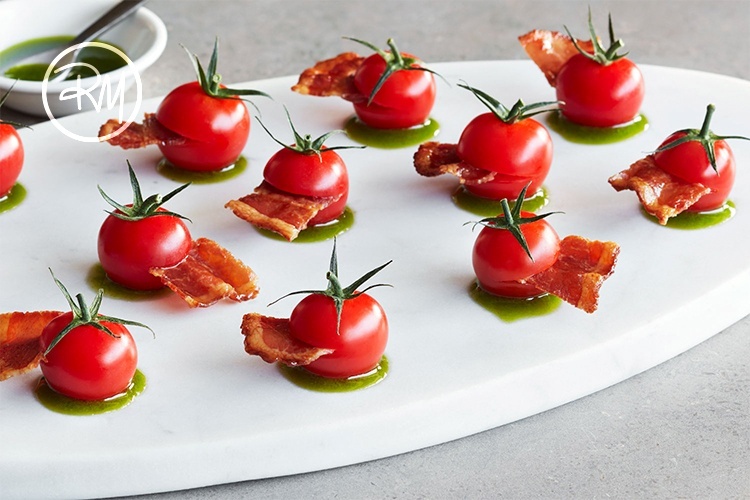 And for the tomato lovers, our ONE SWEET® Bacon Bites pack a flavorful punch with just smoked bacon, chive oil, and fresh, ONE SWEET® tomatoes! Whatever you choose to serve up at your NYE party, try to take the time to appreciate the good things in life and to continually be Inspired by Flavor®! So break out the bubbly, the disco ball, and the hors d'oeuvres for ONE SWEET® New Year’s Eve! *Make sure you share your ONE SWEET® New Year’s Eve photos on Facebook, Instagram, or Twitter and tag us for a chance to win ONE SWEET® prize pack filled our favorite tomatoes, peppers and some awesome coupons!